Human is a social animal, and we all love to be in the company of our loved ones. From the day we born, we form relationships with others in some or the other form. We form many relationships, and we try our best to maintain a good healthy relationship. We share special bonding with our parents, our children, and our spouse. A healthy relationship is the foundation of happy family life and healthy relationship mainly depends on 3 C’s: Communication, Co-operation, and Commitment. These 3 C’s are the foundation of any healthy relationship. It is also important that we constantly work on our relationship daily. To build a healthy relationship is an ongoing process and needs daily work. Every day you need to work on the 3 C’s – every day we should think about how to improve these 3 C’s, which will help us to build a strong and stable relationship. Reiki is healing energy, and Reiki can be applied to every aspect of our life. Reiki works for the highest interest of the receiver and always guide and work for the best of both parties. Reiki is spiritual healing energy and can help immensely to improve any field of our life. I personally feel Reiki works miraculously. Reiki works for the highest interest and so you just need to intend and give Reiki to a specific situation or relationship you are working with. Allow Reiki to heal and strengthen your relationship. Every relationship can be treated, healed and strengthen by Reiki. Reiki is gentle energy and while working with your relationships, Reiki helps you to communicate in a better way, encourage you to co-operate and make you committed to your partner. Communication is the base of any relationship, and it does not always need to be communicated with words. Reiki helps you to communicate better with your partner in many ways. Just be present there, listen carefully, respect and appreciation for each other, trust your partner, and all these leads to a better connection between partners. Co-operation strengthens the underlying fabric of relationship through the balanced interchange, open communication, and mutual understanding. Relationship resting upon transparency, trust and the type of intimacy that makes communication, both verbal and non-verbal, seamless. Commitment is another important factor of a strong and stable relationship. Without commitment, one can not imagine a strong between the couples. You have to mutually agree upon on a relationship based on love, trust, honesty, and openness. Reiki can help you to strengthen your relationships in a natural and smooth way. There are thousands of examples on the Internet, where Reiki helps the couple to bind them strongly, Let’s see how Reiki helps to intensify your relationships and your love life. Reiki is healing energy which heals you on a physical, mental, emotional and spiritual level. When you receive Reiki, it works on all levels. Reiki works with intentions, so if you intend to strengthen and intensify your relationships, Reiki helps you to connect with your partner in a subtle way on all the above levels. After a few sessions, you will find that you can more easily connect with your partner and you are more open and willing to work toward a strong and healthy relationship. Reiki slowly but surely works on your mental and emotional plane, and if you have any memories, that need to be cleansed and released for the best of both the partners, Reiki helps you. Reiki healing modality is based on the principle of Karuna and compassion. The Five Principles of Reiki is the best example to anyone to see how Reiki works. Be Grateful, Kind, Honest and Peaceful is the basic principle of Reiki and every reiki Practitioner tries to incorporate these principles in his life. Naturally, Reiki helps to harmonize your relationships, if it is in the best of interest for you. 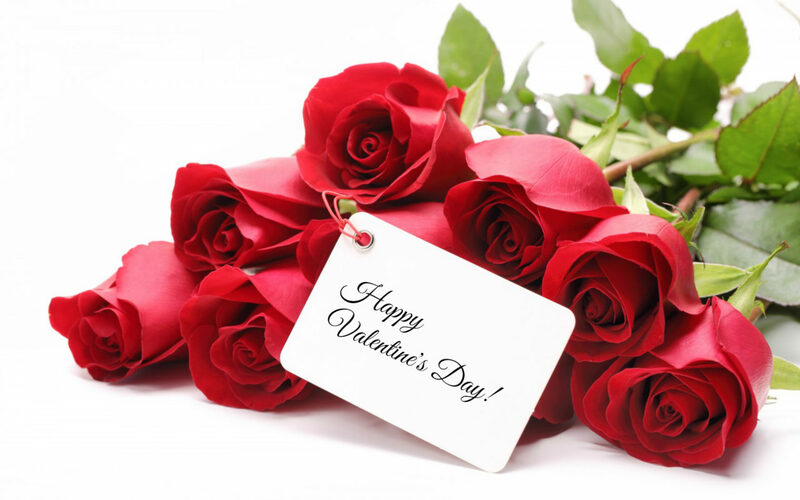 Now I will guide you to a Reiki Meditation to intensify your Love Life on a Valentin’s Day Eve. You may practice this meditation as and when needed. For the best results, meditate once a week, with your partner. You can practice this meditation for Distant also if for any reason your partner is not present to participate. To practice this meditation one of the partner needed to be a Reiki practitioner. If both the partners are practicing Reiki, well and good. 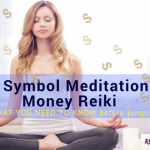 For Reiki Level 1, practitioners, you can practice this meditation without Symbols, Level 2 and above Reiki Practitioners, use symbols which are guided to you. You can also use other symbols like of Karuna symbols, Love Symbol ( simple heart symbol, need to be self-attuned before applying). In Karuna Reiki, Hearth is a main symbol, which can be used, as it directly works with heart issues, physical and emotional. So Hearth symbol can help greatly to cleanse your heart chakra and heal any issues related to the heart chakra. Shanti Symbol is of great importance, as it creates harmony and gives better results in any situation. So if you are guided to Karuna Reiki Symbols to heal and strengthen your relationship, pl do not hesitate. Sit with your partner, knees touching and holding hands. Look into the eyes and be with your partner. Invoke Reiki, Angels, and Archangels, to help you in the process. See the Crown Chakra of your partner. 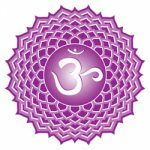 Crown Chakra is the link with the universe and with the spiritual self. Cover the Crown Chakra with White Light and Energy. Give Reiki to the Chakra. Draw the First Symbol, Cho Ku Rei and intone it thrice. Draw the Second Symbol, Sei Hei Ki, and intone it thrice. Draw the Third Symbol, HSZSN, and intone it thrice. Draw any other symbol you are guided to and intone it thrice. See the deep connection between you and your partner. Declare within yourself —————————————-(affirmation for your relationship). Continue this meditation with all the Chakras, repeat the procedure for each Chakra and declare the affirmation on each chakra. At the end of the session, seal the energies with Cho Ku Rei, acknowledge the healing that has taken place and strong bonding between you and your partner. Slowly open your eyes, hug your partner and now draw a huge CKR to seal both of you with these new vibrations of the highest unconditional love. A healthy and happy relationship takes many things, one of the important thins is to give Reiki to your partner and your relationship. Your intention to have a healthy and happy relationship works magically with Reiki. You need to apply Reiki at least on a weekly basis. Reiki will cleanse if any debris of past in your relationship and make your relationship more strong and greatly help to intensify it. As a Reiki Practitioner, I have seen many incidents how Reiki works miraculously to guide you to the right person, which is most suitable for you. You need to trust your intuitions and continue giving Reiki. Do you have such miraculous stories of Reiki, healing and strengthening the relationships, pl do share with me and if you have any suggestions, queries, and questions, let me know in the comments below. If you think this article might help someone, pl share it with your friends and family.